Every time you shop at any of the 1,900+ online stores in the iGive network, a portion of the money you spend benefits A Lion's Heart. It's a free service, and you'll never pay more when you reach a store through iGive. In fact, smart shoppers will enjoy iGive's repository of coupons, free shipping deals, and sales. To get started, just create your free iGive account. 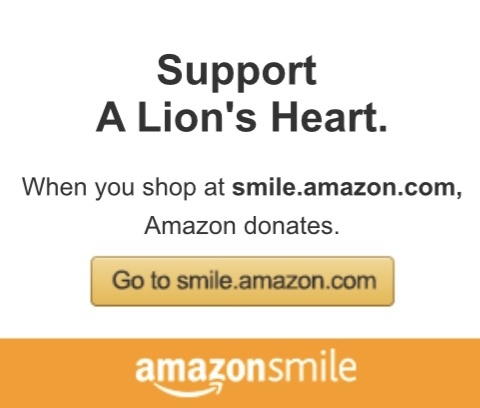 Every time you shop at Amazon, you can help support A Lion’s Heart.